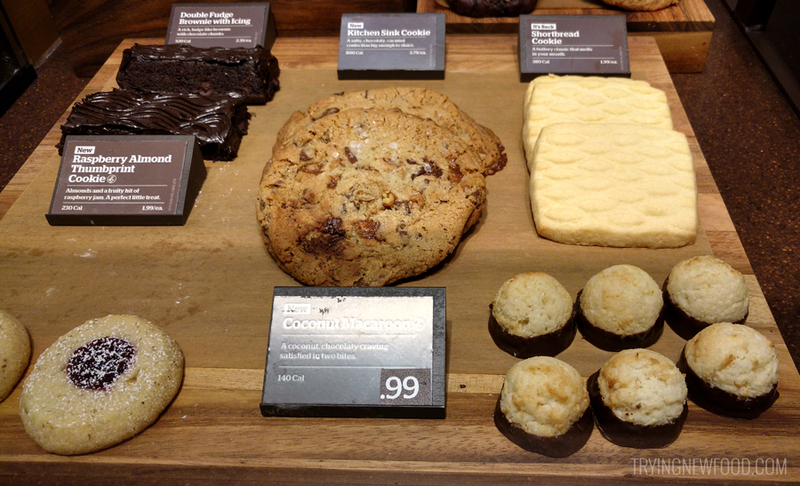 We went to Panera for dinner and I had no intention of getting any dessert, but when I saw all these new treats on display — suddenly I needed one of each. I ended up selecting the largest and smallest treats on display. I am a huge fan of this Kitchen Sink Cookie! First of all — it is a giant cookie. I split it with my husband, but you could even split it between three or four people. I ended up offering up a lot of the chewy middle part so I could have all the crunchy outer edges to myself. 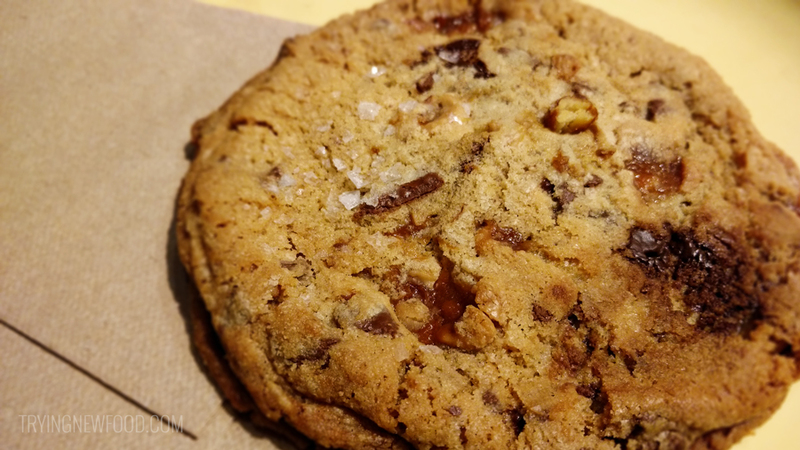 My favorite parts of this cookie are the caramel pieces (like toffee), pretzel pieces, and the salt sprinkled on top. The only negative is the calories. On the Panera site, it says one cookie is 800 calories. Yikes. So I highly recommend this cookie, just keep in mind it’s a cookie that is best shared. 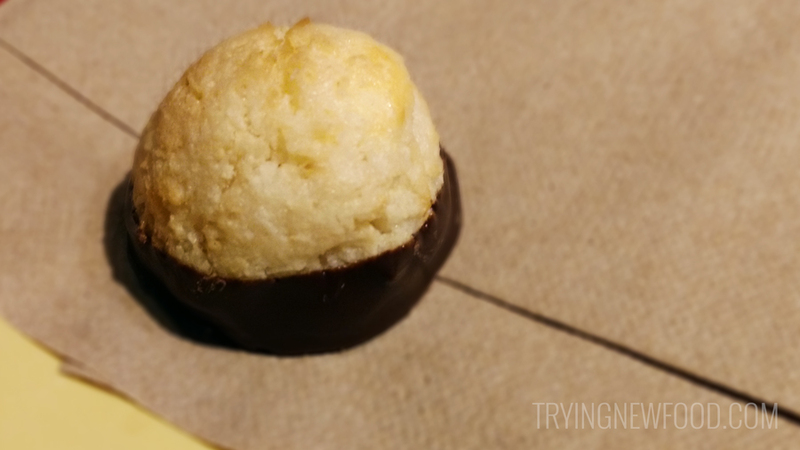 We also tried the coconut macaroon for 99 cents. It was okay. I’ve had better tasting macaroons. One cookie is 140 calories. I split this with my husband as well, and the bite I had was not worth 70 calories. It was a little dry and not that exciting.